Our mission is to provide dependable, quality child care services at an affordable rate. Our goal is to create a nurturing environment in a child friendly facility where each child feels safe, secure, and accepted while growing socially, physically, emotionally, and intellectually. Our commitment is to both the child and the family. 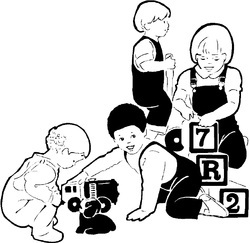 The Sherman County Child Care Foundation was established to serve the child care needs of young families. Admission to the child care program is open to all families regardless of race, religion, national origin or financial status. ​is now open and will begin September 10, 2018. Quality Child Care At An Affordable Rate! !